You must begin to totally depend on God and use the language of the Kingdom of God in order to change your circumstances. 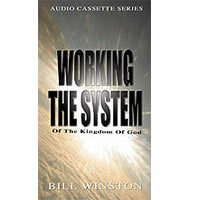 Learn how to operate the system of the Kingdom of God so that you have victory in this life. The system of the Kingdom of God rules over all other systems and until this truth is realized, you will find yourself in perilous times.